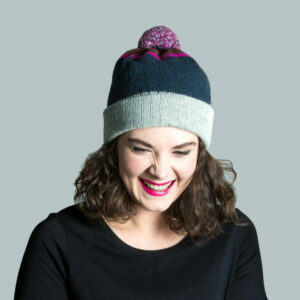 Coorie, as in cuddle in, keep cosy. 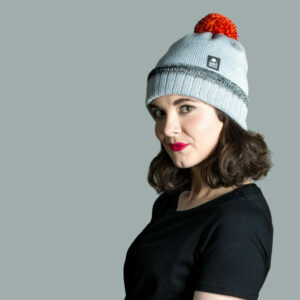 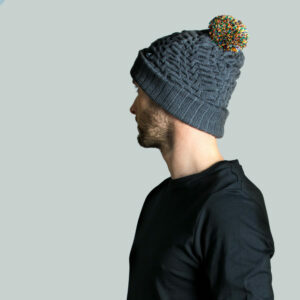 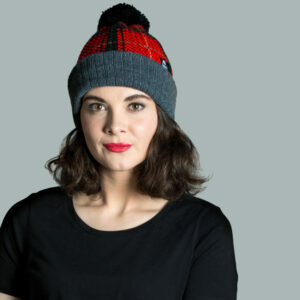 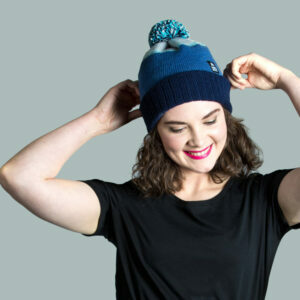 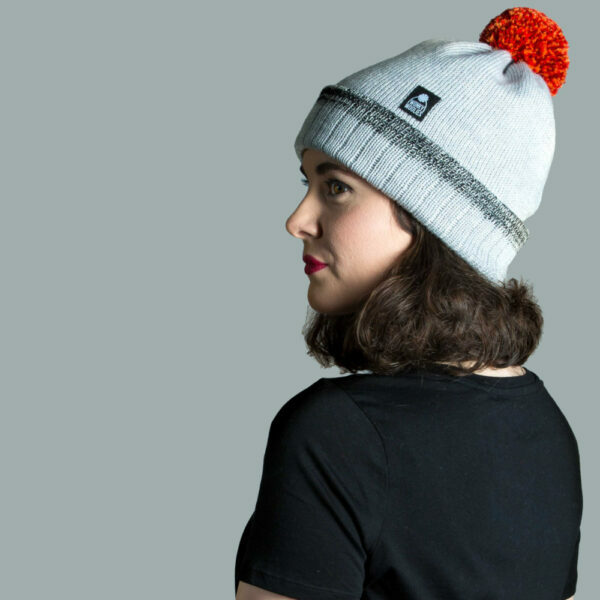 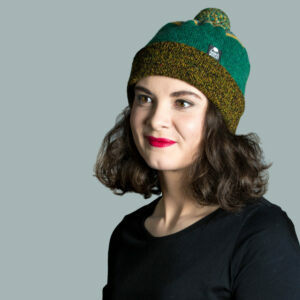 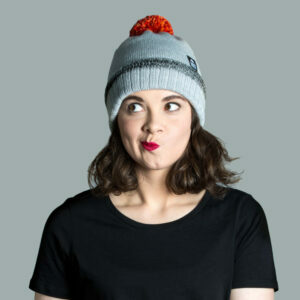 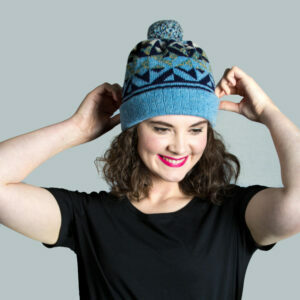 This hat will do just that for you as it’s made with 100% merino wool. 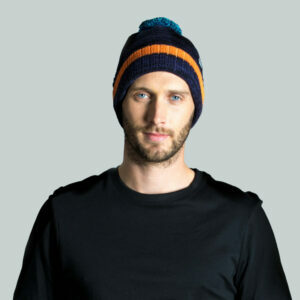 We knit this hat with a double layer of wool, which increases the comfort and wind stopping abilities. 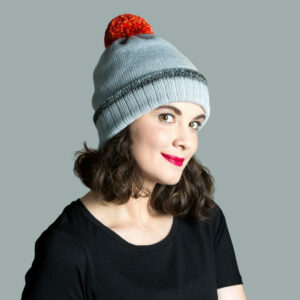 Pop this on for a nice long walk or after a day on the bike and it’ll make you smile. 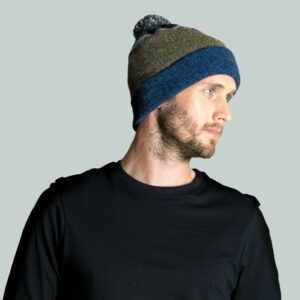 This type of merino wool has a heavy weight to it and a lovely shine making it feel and look luxurious on your head. We’ve used silver grey for the main colour with a blended black and white tip on the very edge of the fold up. 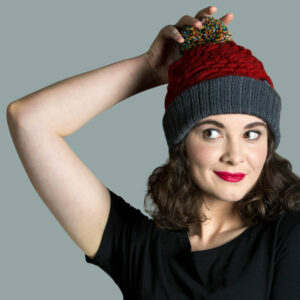 Topped off with this vibrant red mix pompom, it’s a combination that’s not to be missed.